One way to make sure we are getting enough exercise is to take the 10,000 steps a day challenge. It's easy and fun. 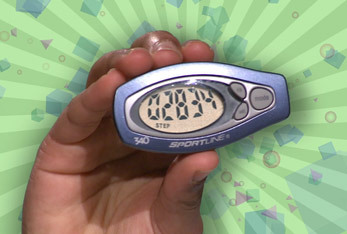 To get started you need a simple pedometer. It counts your steps. Attach the pedometer to your wrist or belt and get moving. 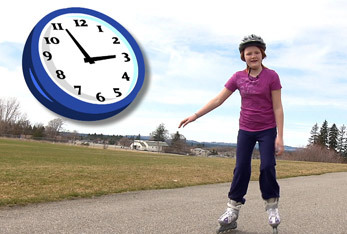 As kids, we need to take 10,000 steps every day for good health. Walk,...run,...go up stairs,...or do jumping jacks. Just keep moving and watch the number of steps grow and grow. Take the 10,000 step a day challenge! Be a FitKid. Healthy for Life.